This Exclusive Gold Plated Pendant set will accompany you to the parties or social gatherings and make you glow and glimmer. This will add to your glory and bring you loads of praises.It comes with Matching Earring. 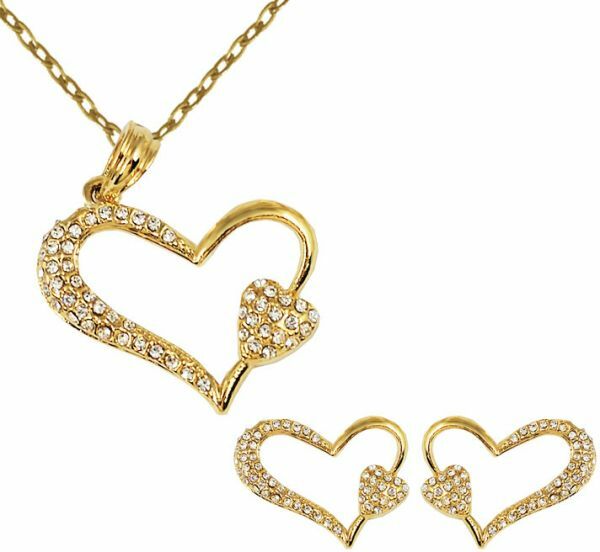 Type:Pendant Set * Metal color: Gold * Shape/Pattern: Heart Shape * Metal Type: Copper Alloy * Plating: 18K Gold Plated * Packing:Packed in a Jewellery gift box/pouch.